A training about Personal Financial Advice, consisting of two parts. The first part is about Happiness. Included topics are; What matters in life, setting long life goals and knowing your own skills by a SWOT analysis. The second part is about Managing your own Expenses. Included topics are; What is money, keeping track of your own daily expenses/income, savings, credits and making a budget. This training was given for the tourleaders in the organization (NGO) Smokey Tours. The tourleaders are living in Tondo (slums of Manila) and have difficulities to manage their own money. This is a training about Personal Financial Advice. 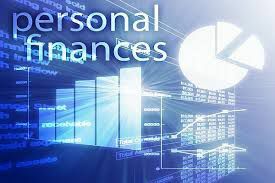 In the training I only reveal the basics abount personal financing. The training consists of two parts. The first part is about Happiness. Included topics are; What matters in life, setting long life goals and knowing your own skills by a SWOT analysis. The second part is about Managing your own Expenses. Included topics are; What is money, keeping track of your own daily expenses/income, savings, credits and making a budget. The aim of the training is to give people without any financial background personal advice about how they can mange their own money. I give some insights and provide examples about how they can save money, making a budget and getting aware of their own expenses and income. "The beautiful (under)water world of Indonesia"